Adventurous Traveller – Welcome friends here some Adventurous stuff for you.. Welcome friends here some Adventurous stuff for you.. I am here to share some adventurous stories with you. In which, some are haunted and heart shocking also.. So this post is to make aware about my blog post and to share my gratitude towards wordpress to give me opportunity to share my live wonderful and breath buttering stories. But one condition friends be sure to comment about your responses on my each post to make this blog and post for you more better..
For more about me keep visiting my blog.. In which not only I survived myself but also done the first Ghost Cleaning of my life..
Where I fought with an undead crew, lot’s of small but dangerous animals and the containers in which many soul’s I had to fight with and I passed out that suddenly got challenge..
Trek through rainforest and alpine terrain to the rocky plateau of Mount Kinabalu, while also staying a night on the mountain. 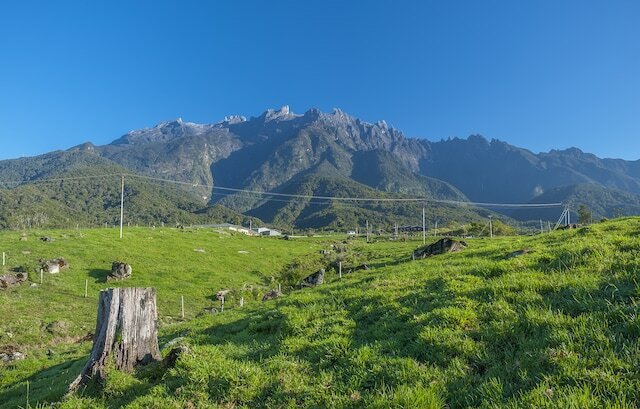 At over 13,000ft it is one of the highest peaks in south-east Asia and the tallest mountain in Borneo, and home to many unique plants and birds. On summit day, you will awake early to see the sun rise over the jungle below. Tucan Travel (0800 804 8435, tucantravelcom; three days, £529 excl flights). So What’s up Guys?Anything New today? I asked my friends as always..
And Ron said,”What about forest Bro?” “Good idea Ron! See you friends in the evening, get ready for new adventure..” I said.”Yup..!” All of us with joy and excitement. And then in the evening we all met at our all time favourite place, that garden near to that mysterious dark forest in which we plan to go. It’s that garden in which we all first met to each other. I was unknown about this place when I came new in Michigan a city full of adventure . Yeah you are absolutely right. For adventure I came here but not with full of info about all Because I am always ready with stuff info automatically got from the people near there. As same happen here in Michigan also my neighbour Ron told me not took me into this beautiful garden peninsula where we are all ready now to go in.. You know where right?? Yeah absolutely right ! For go in deep haunted forest.. You think Why in garden?? Same I was got wondering why in garden when I asked about forest to Ron and Ron said,”Calm down bro, you are not much away from your goal.. See there is that forest which you want but? ?” “But? What?” I asked. And Ron said, “I think you need team to go in..” “Why? And Who will be ready to take risk with me to complete my adventure dream?” I said “And also..” Before completing my sentence Ron said, “Don’t be so pain ache my friend. And meet my all adventurer friends..” Then Ron turned towards a group just came there and said,”Friends meet my new adventurer friend Golden..” Yeah my name is Golden..
And became happiest person in the world I got adventurous team.. And remembered that time why Ron was interested in my adventurous event saying and continuously asking me in his free time..